Merupakan jurnal berisi materi terkait dengan bidang arsitektur dan lingkungan di mana bangunan arsitektur itu berada (lingkungan binaan), baik dalam skala mikro (interior), meso (bangunan) sampai makro (kawasan/kota). This journal aims to seek quality articles to answer the need to improve the understanding of effective management and business applications. 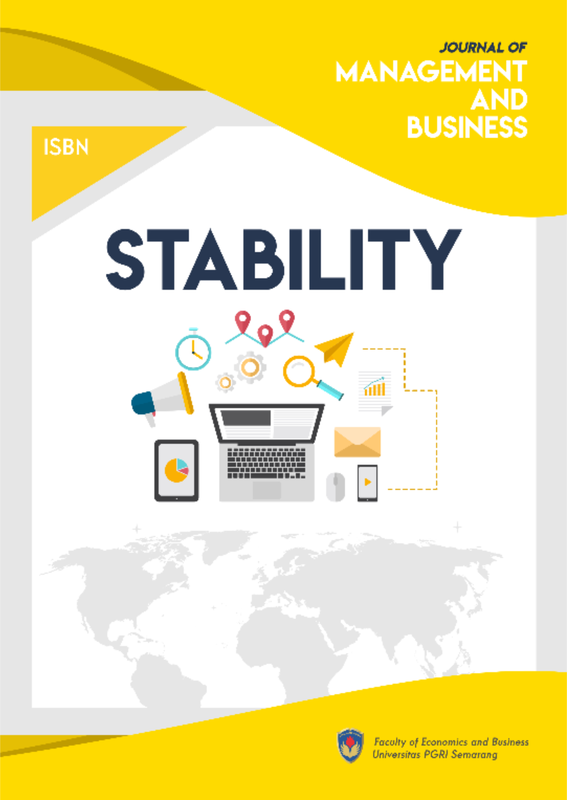 Stability : Journal of Management and Business provides current trends in knowledge and practical applications in management and business practices. In Stability : Journal of Management and Business readers will find articles and features providing comprehensive and pragmatic view of the real management and business practices in this turbulence world particularly. 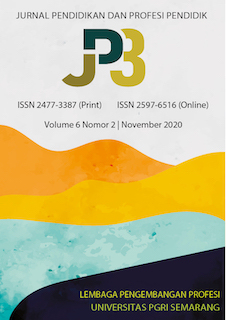 The journal seeks high quality, quantitative, qualititave or review based articles written by academic proffesionals and corporate executives who wish to share their ideas and research findings. Stability : Journal of Management and Business welcomes articles in the areas of (unlimited to) general management, human resource management, financial management, operation management, marketing, strategic management, entrepreneurship, organizational behavioral, public administration, and others. 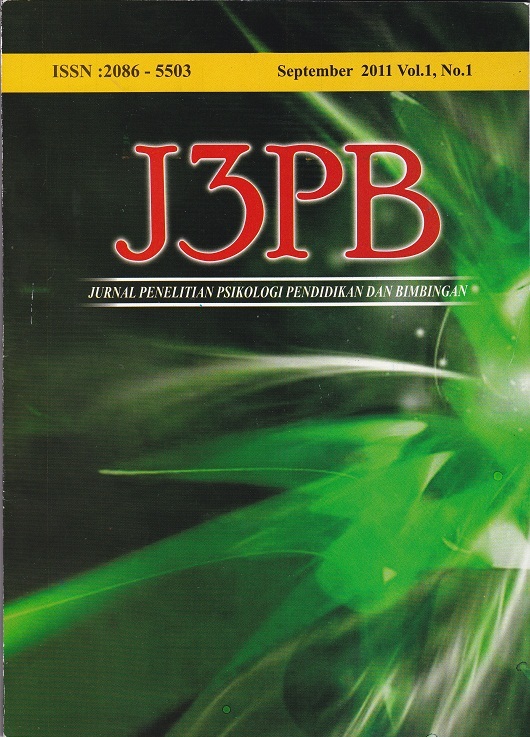 Merupakan Jurnal Ilmiah yang membahas tentang masalah masalah seputar Hukum yang ada di masyarakat baik itu berupa hasil hasil pemikiran maupun hasil dari penelitian yang didukung dengan bukti bukti yang Kongkrit dan Ilmiah yang diharapkan dapat menyumbangkan pemikiran di bidang hukum dan memajukannya. Diterbitkan dua kali dalam satu tahun pada bulan Januari dan Agustus oleh Fakultas Hukum Universitas PGRI Semarang. 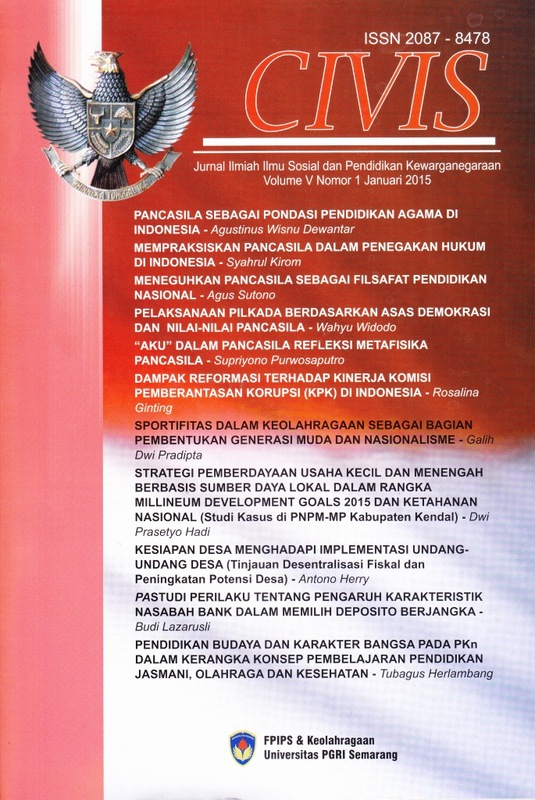 Dalam satu volume jurnal ini ada 1 nomor yang berisi 7 artikel. Artikel merupakan hasil penelitian dalam bidang Hukum. Versi online dapat diakses pada: http://journal.upgris.ac.id/index.php/Meta-Yuridis. 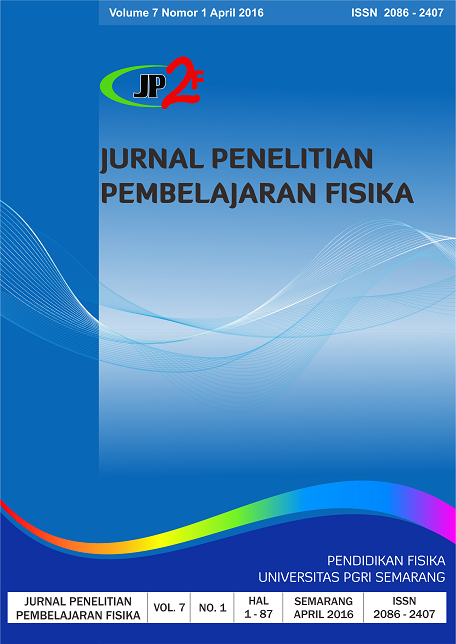 Journal " Equilibria Pendidikan" (P-ISSN: 2548-6535; E-ISSN: 2615-6784).This journal published every May and November. Articles published contain scientific research results and the results of a study of books in the fields of applied economics and economic education. 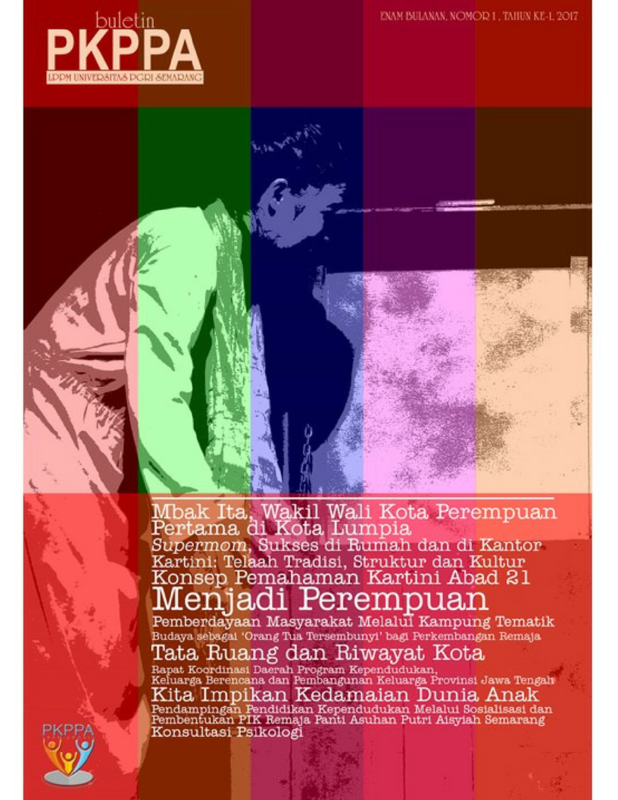 Jurnal Ilmu Pangan dan Hasil Pertanian will be published 2 (two) volumes in a year on June and December. 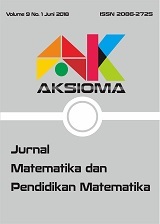 So, we would like to invite all of authors to submit their articles in this jurnal. Journal of Informatics UPGRIS published since June 2015 with frequency 2 (two) times a year, ie in June and December. The editors receive scientific writings from lecturers, teachers and educational observers about the results of research, scientific studies and analysis and problem solving closely related to the field of Information Technology and Communications / Informatics. Media Penelitian Pendidikan memfokuskan pada hasil penelitian bidang pendidkan dan pembelajaran, khususnya perencanaan, pelaksanaan, dan evaluasi Pendidikan dan pembelajaran. Isu MPP: implepentasi kurikulum, strategi dan model,media, dan evaluasi pendidikan yang dilakukan baik di perguruan tinggi, sekolah maupun lingkungan masyarakat. 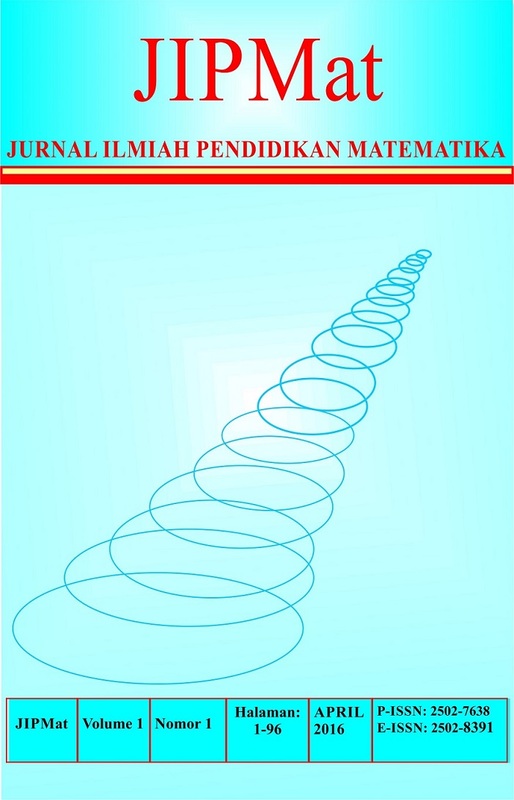 JIPMat (Jurnal Ilmiah Pendidikan Matematika) is registered with p-ISSN 2502-7638 and e-ISSN 2502-8391 is a scientific journal of Mathematics Education Department Universitas PGRI Semarang which focuses on the delivery of information on mathematics education from elementary school to university high. JIPMat is published 2 times a year in April and October. Already have a Username/Password for JIPMat? Sasindo: Jurnal Pendidikan Bahasa dan Sastra Indonesia merupakan jurnal ilmiah yang diterbitkan oleh Program Studi Pendidikan Bahasa dan Sastra Indonesia (Prodi PBSI), Fakultas Pendidikan Bahasa dan Seni (FPBS), Universitas PGRI Semarang (UPGRIS). 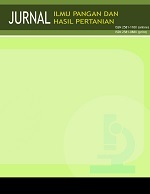 Jurnal ini memiliki p-ISSN: 2337-4098 (cetak) dan e-ISSN: 2614-6959 (daring). Sasindoberisikan hasil-hasil penelitian dan buah pemikiran dalam bidang bahasa dan sastra Indonesia, serta pemelajarannya. Jurnal ini terbit secara berkala, yaitu 2 (dua) kali dalam 1 (satu) tahun, pada bulan Januari dan September. Informasi lengkap, sila hubungi: sasindo@upgris.ac.id (sasindo@upgris.ac.id), atau langsung visitasi ke kantor Prodi PBSI FPBS UPGRIS dengan alamat: Gedung A Kampus IV UPGRIS (Jalan Gajah Raya No. 30B, Gayamsari, Semarang). Artikel yang dimuat dalam MALIH PEDDAS (Majalah Ilmiah Pendidikan Dasar) adalah tulisan hasil penelitian atau hasil kajian bidang Pendidikan Dasar. Print ISSN : 2088-5792 dan Elektronik ISSN : 2580-6513. Malih Peddas diterbitkan 2 kali dalam setahun pada bulan Juli dan Desember. 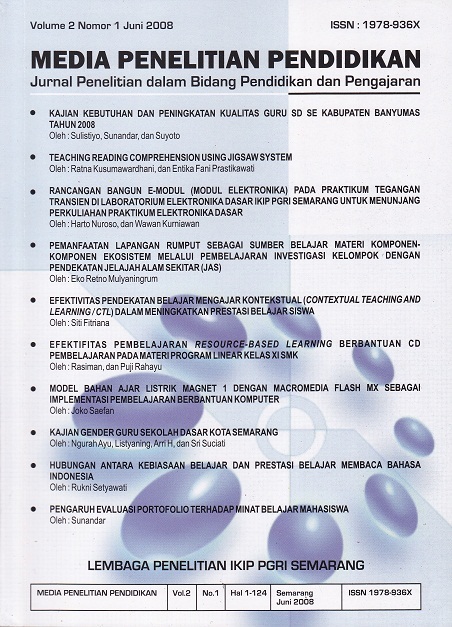 Pertama kali diterbitkan pada bulan Juli tahun 2011 oleh Program Studi Pendidikan Guru Sekolah Dasar, Fakultas Ilmu Pendidikan, Universitas PGRI Semarang. PAUDIA is scientific journal about early childhood education; it hereby states that the publication of the articles is true research outcomes and it is scientifically. PAUDIA is a scientific journal about early childhood education. It belongs to PG PAUD Program of Science Education Faculty in Semarang PGRI University. It publishes twice a year; it is on July and October. This journal is research outcomes which are talking about early childhood educations. 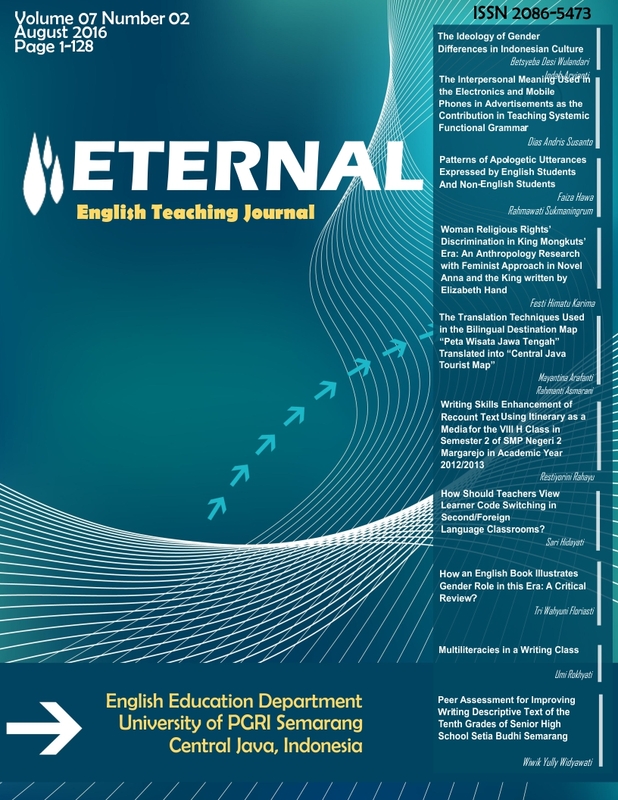 ETERNAL (English Teaching Journal) is published twice a year in the month of February and August ISSN 2086-5473 (Print) and ISSN 2614-1639(Online). 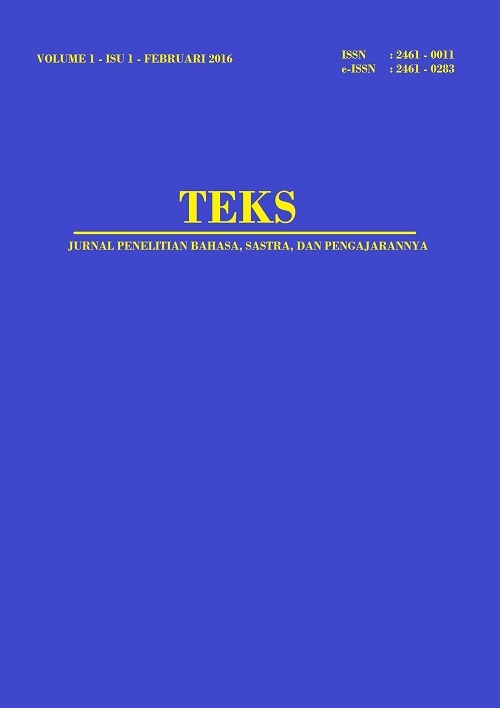 It presents articles on English language teaching and learnings, literature and research. The contents include analysis studies, application of theories, research reports, material developments and reviews. ETERNAL (English Teaching Journal) invites the articles that have never been published anywhere else. Manuscripts should be type-written, double-spaced on quarto-sized paper 10-15 pages in length: preferably on a standard floppy diskette with two hard copies. The articles format should comply with the standard format of scientific writing. Articles will be reviewed by the reviewed by the Reviewers. The Editor reserves the right to edit articles for format consistency without altering the substance. 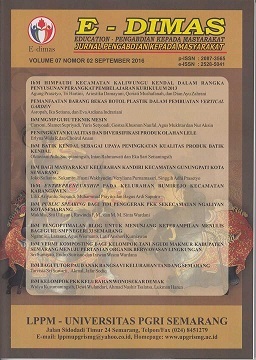 An article contributor is entitled to 2 copies of current volume. ETERNAL (English Teaching Journal) is published by English Department of FPBS the University of PGRI Semarang, Indonesia. 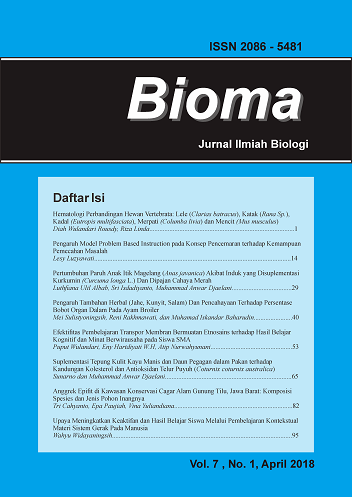 Bioma is a Journal of Scientific Biology that is used to convey scientific information of research by all academic community of Biology Education Program of FPMIPATI Univeritas PGRI Semarang, alumni, and other writers in Biology and Biology Education. Bioma comes in two numbers (April and October) for each volume. For writings to be loaded, the authors of the contributors should pay attention to the author's instructions on the page in the back cover. Editors change the editorial and systematic writing without altering the contents of the manuscript. 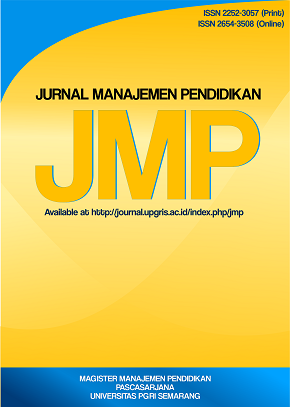 Jurnal Manajemen Pendidikan (JMP) published by Prodi Management Education PPs University PGRI Semarang. The editor receives donations of writing that have never been published in other print media. Please read these guidelines carefully. Authors who want to submit their manuscript to the editorial office of Jurnal Manajemen Pendidikan (JMP) should obey the writing guidelines. If the manuscript submitted is not appropriate with the guidelines or written in a different format, it will BE REJECTED by the editors before further reviewed. The editors will only accept the manuscripts which meet the assigned format. 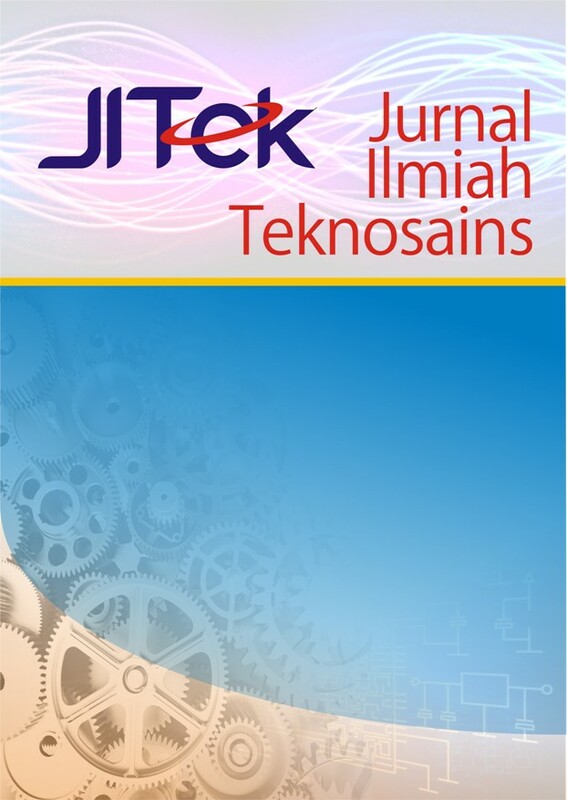 Already have a Username/Password for Jurnal Manajemen Pendidikan (JMP)?